An old saying attributed to Winston Churchill is, “History is written by the victors.” I think that most people would agree with the veracity of this observation. Certainly, those who control the flow of information in a particular context will indeed influence, and ultimately arbitrate, public opinion on a given topic. In the case of aikido and its founder, Morihei Ueshiba, I would say that this axiom certainly holds true. The main sources of information on Morihei Ueshiba in the English language are books written by his son, Kisshomaru Ueshiba, and American author John Stevens. Both have written a series of books dealing with Morihei and his writings that have been widely distributed in English and translated into several European languages. A large percentage of these books have been published through the Kodansha Limited Company, Japan’s largest book publisher. 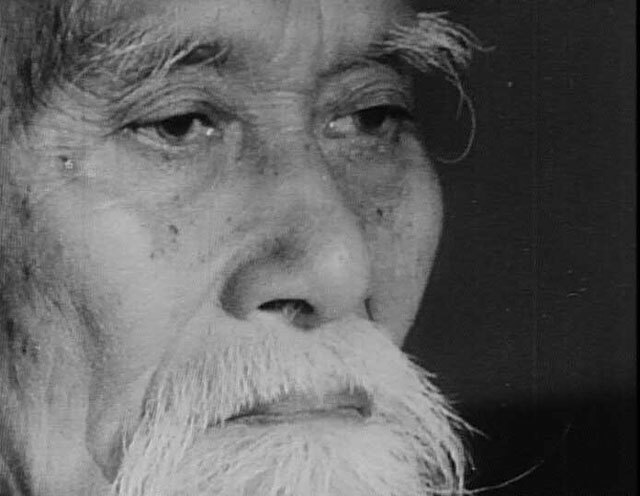 Parenthetically, there is a historical relationship between Morihei Ueshiba and Seiji Noma, the founder of Kodansha. As Kodansha ceased its English publishing house in 2011, it is not known if other publishers will pick up the slack in producing books on Japanese martial arts including aikido. Not surprisingly, the contents of Kisshomaru’s books on Morihei present a family viewpoint, and one that reflects the agenda of the Aikikai Hombu Dojo in Tokyo, aikido’s largest organization. Mr. Stevens’ biographical works on Morihei have have been directed towards a popular audience, and have portrayed the Founder in a flattering light as one of the greatest martial artists of all time. Stevens has also translated a number of other books such as Morihei’s 1938 manual Budo, and various spiritual writings attributed to O-Sensei. I have noticed the impact of these publications over the years because these authors are quoted and misquoted with great frequency by legions of writers treating the topic of aikido and its founder. This tendency has been magnified exponentially by the Internet. The works of Kisshomaru and John Stevens have thus played a critical role in shaping the image of the founder that has entered into popular culture, and been embraced by a majority of aikido practitioners. In recent years, authors such as Dr. Peter Goldsbury and Ellis Amdur have written books and articles offering alternative views that have garnered a certain amount of attention. Dr. Goldsbury, a university professor, has approached the subject by offering a social and historical context to better interpret the major events of Morihei’s life. Ellis Amdur–a colorful writer with a provocative style–has suggested various historical scenarios to explain some of the poorly understood areas of Morihei’s life and martial arts’ training. Both have made an effort to document their sources in contrast to Stevens’ writings which give little attention to this area. On the Japanese side, Prof. Fumiaki Shishida of Waseda University has produced a number of well-researched articles that discuss aspects of Morihei’s life and teaching in the prewar era. Prof. Shishida is a student of Kenji Tomiki, and also discusses the influence of Judo Founder Jigoro Kano and the theory of competition as applied to aikido, a viewpoint espoused by Tomiki. Since Prof. Shishida’s publications are mostly academic, they have not had as wide an impact as they deserve, even though a few articles have been translated into English. The only other major source of information on Morihei Ueshiba and the history of aikido that I am aware of is the material that we have published for the last 38 or so years, first as “Aiki News,” and now as “Aikido Journal.” One of the best gages that I have encountered that suggest that Aikido Journal has had a significant impact in this field are the amount of references in aikido-related entries of Wikipedia that cite Aiki News/Aikido Journal publications, many of which I am the author. Little by little thanks to the Internet, other viewpoints on aikido history are gaining attention, and some of the historical accounts that have long been accepted as gospel are now being questioned. Also, a number of glaring omissions that reflect the intent to avoid or gloss over certain delicate historical topics are being addressed. 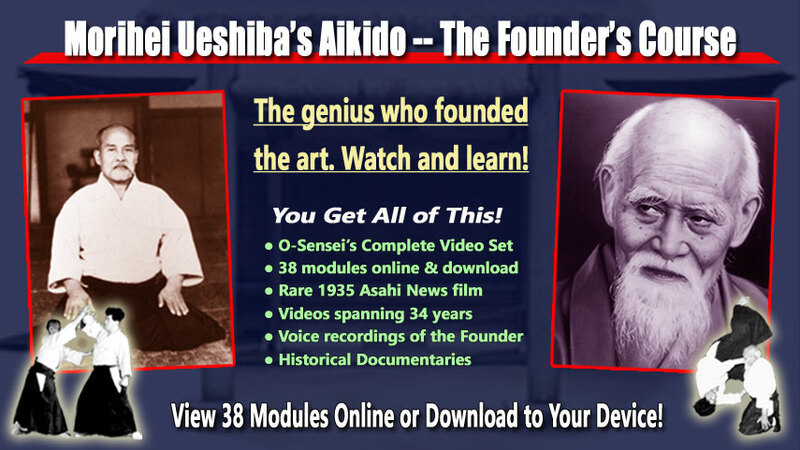 I firmly believe that the next generation of aikidoka will have access to more accurate and richer materials that will help them better understand the enigmatic figure of Morihei Ueshiba and the evolution of aikido. Tomorrow’s “victors” had better have an iron grip on the Internet else their formerly unchallenged prerogative of writing history will be snatched from their hands!